This post is sponsored by Bayer® ExpertCareTM and the BlogPaws Influencer Network. I am being compensated for helping spread the word about Bayer ExpertCare products but Green and Glassie only shares information we feel is relevant to our readers. Bayer ExpertCare is not responsible for the content of this article. I often wonder what is the difference between dog shampoos and which shampoo is best for Diesel. In the next three months I will be testing three Bayer® ExpertCareTM shampoo products. Diesel's first review is on the Bayer ExpertCare Moisturizing Shampoo. As you can see from the pic the shampoo has a nice later. The smell is amazing...wish this pic had smell-a-vision. Yes, Diesel is in our bath tub. It is November in Wisconsin and way to cold to give him a outside bath. I really like the Bayer ExpertCare Moisturizing Shampoo. Diesel is enjoying his shampoo. Whenever he stands still and lets me later and massage the shampoo into his fur I know he likes it. Being a Smooth Fox Terrier ~ Diesel is a little on the active side. So standing still for bath is a plus! He smells fantastic. A very clean fresh smell. When Diesel was all dry - his fur was so soft. Hug-able Soft! What do I want from Bayer ExpertCare Moisturizing Shampoo? Winter in Wisconsin is cold and long. Skin dries out fast and keeping skin moisturized is hard and a ongoing battle. I am looking for a shampoo that will help Diesel's skin stay moisturized and prevent dryness. It has been two weeks since Diesel's bath. I have noticed less shedding and less dander. The clean fresh smell is still lingering and his fur is still extremely soft. A little about the Moisturizing Shampoo - it is a hypoallergenic shampoo that is excellent for routine shampooing. 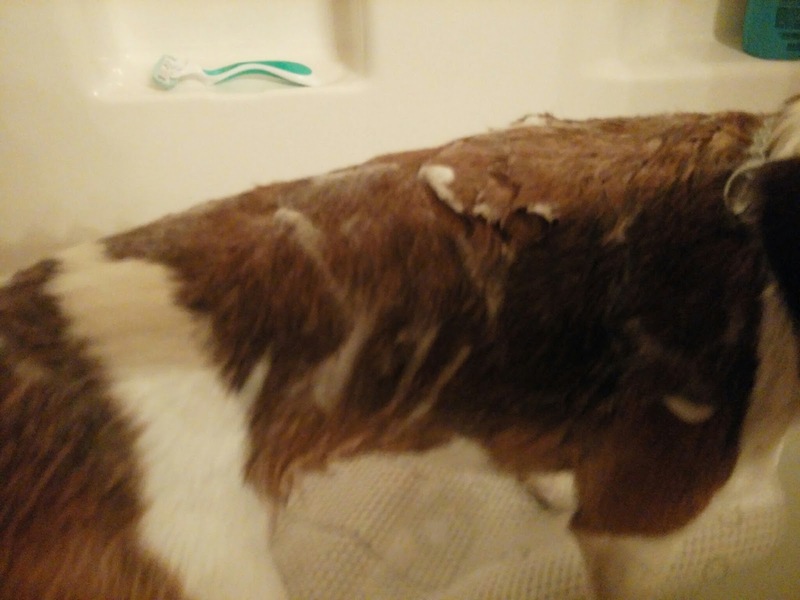 The shampoo is a soap-free shampoo made with moisturizers and essential fatty acids that not only clean but replenish moisture and help protect Diesel's skin. The shampoo comes in a 12 fluid oz bottle with a easy to open and close cap - making opening and closing the bottle with one hand easy to manage. I am a one hand on the dog and one hand on the shampoo bottle dog washer. 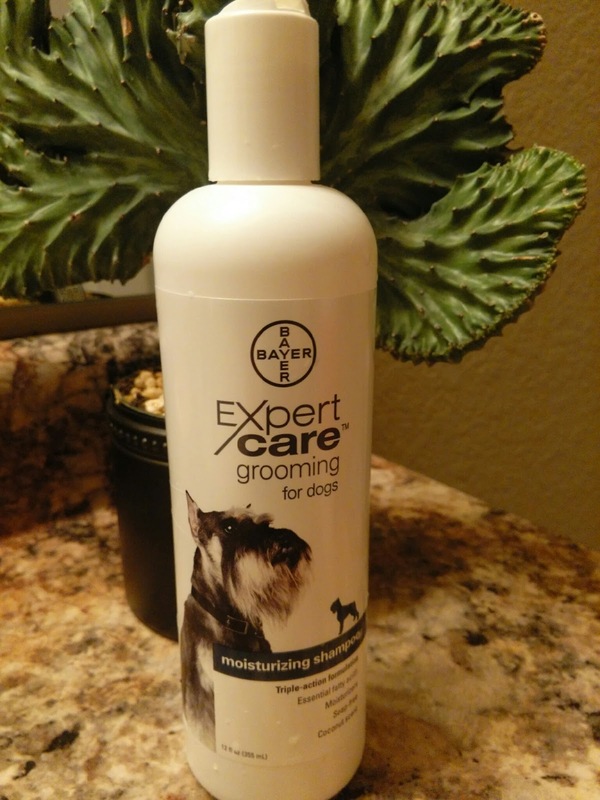 After using Bayer ExpertCare Moisturizing Shampoo I defiantly would recommend the shampoo for all dogs. I found the shampoo to be a positive for Diesel ~ Fresh scent - Moisturizing - Nice Later. Check out what made my trip to PetSmart a little sweeter. I not only found quality products for Diesel & Digger I also took advantage of their SALE! Quality products on SALE is a WIN WIN!!!! I can always trust Petmart to get me the best deal possible on all of Diesel's products. I love going to PetSmart. It's always an adventure! Always looking for good pet shampoo for my dog. This sounds like a great brand of dog shampoo... will pass this on to my friend. She has a puppy and boy could he use a bath! This sounds like a really great shampoo for dogs. We need to check it out for our dogs. They have to take a lot of baths. We had to get hypoallergenic shampoo for our dog. 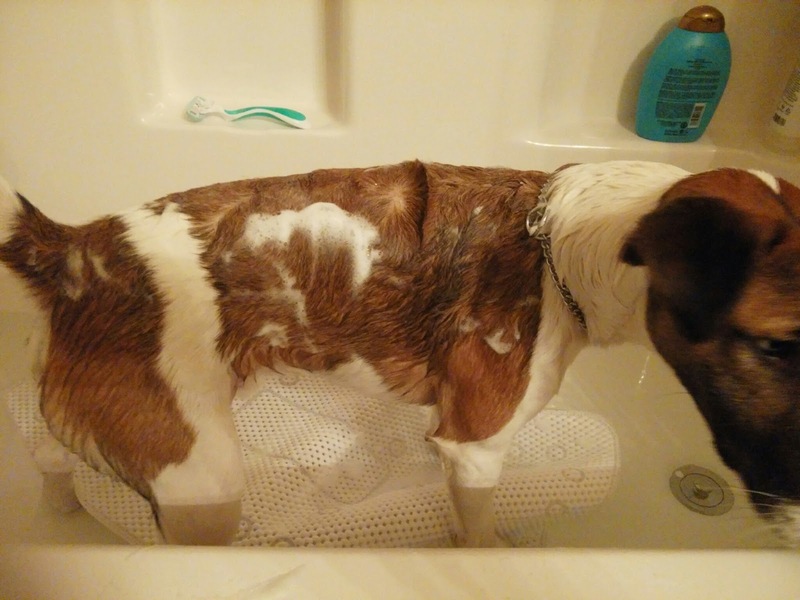 He had a nasty skin reaction to regular shampoo. This definitely sounds like a great dog shampoo. It's good to have a good moisturizing shampoo for those cold, dry days of winter. I am going to check this out. I will also look for the Itch Relief. My dachshund will sometimes get itchy. I think she has dry skin and I would love to try that out. I am thinking that this shampoo may help my yorkie with his itch problem. Thank you for sharing about this product. We had to get hypoallergenic shampoo for our dog. She had a bad skin reaction to oatmeal shampoo. Looks like a great product for dogs. I will send this to my friend who has 2 dogs. 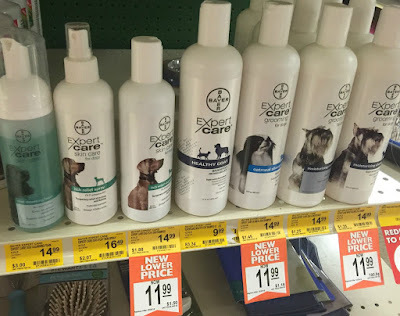 I picked up a few items at PetSmart from the Bayer Expert Care line and the spot on moisturizer is amazing. Looks like a good product to try out. I'll check to see if I can snag some online for our family pet. I really like that this shampoo is soap free so it will not cause any irritation. Its always a plus to find things you need/like on sale. This sounds like a great shampoo. It was also difficult to find the right shampoo for our Newfoundland. That's fun to test brands. A great way to find the perfect fit too.And you ain't a'kiddin about Wisconsin weather, that can be brutal. My cats are spoiled so any product that pampers our pets is a great one. Since PetSmart is so close to me it's the only place I would go to buy food or anything at all for my pets. I'll have to check out the Bayer line for them. I had to laugh at this for a minute as our Cane Corso is huge and bathing him in our bathtub is totally out of the question! We actually have to have him bathed at PetSmart! This shampoo sounds great! This product sounds great for dry skin! Looks like your pooch likes baths. I've got cats, and thankfully they bathe themselves. But I will let my dog loving friends know about this!